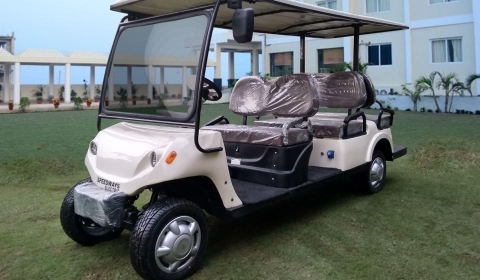 Fully electric and entirely customizable, this 6-seater vehicle is perfect for Golf Courses, Hotels, Resorts and Educational Institutes. 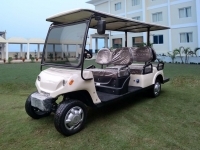 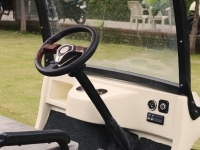 Our six seater golf cart is not just incredibly comfortable with its class apart interiors but also promises years of running without tiring. 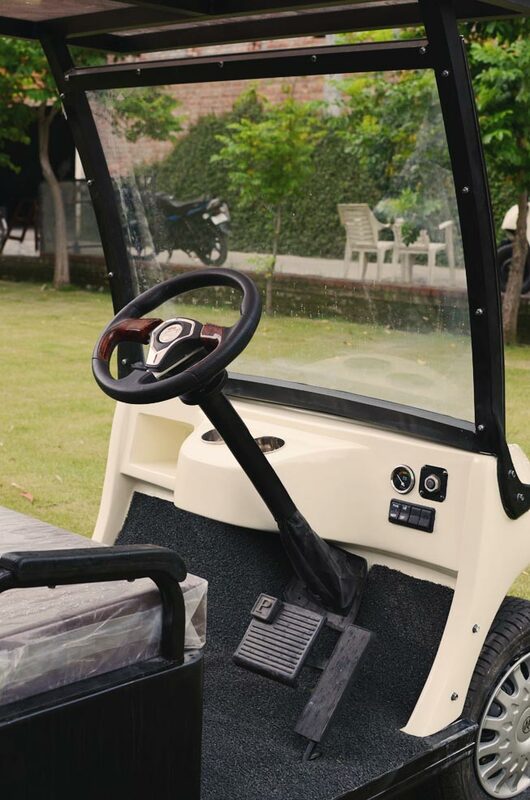 Powered by specially designed golf cart batteries, these battery operated golf carts are known for their durability and style. 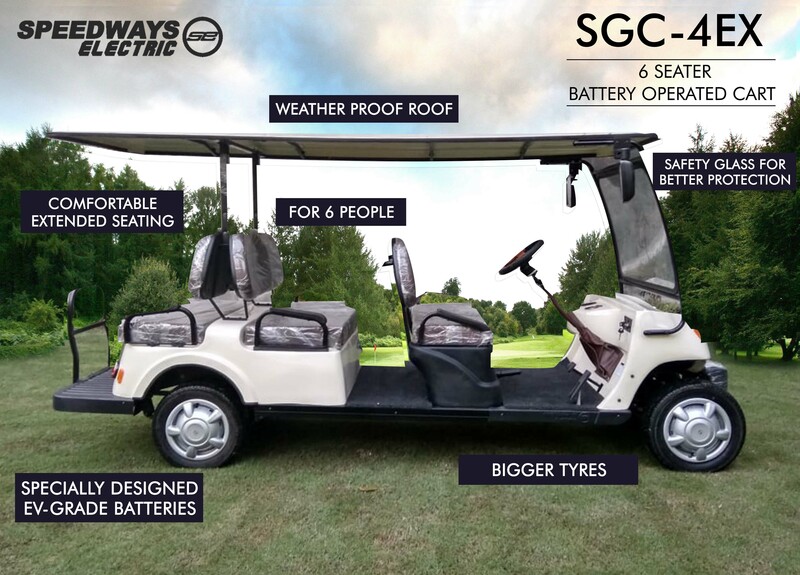 The SGC series is also now available with a hard roof top as a customized addition to its robust and sleek form. 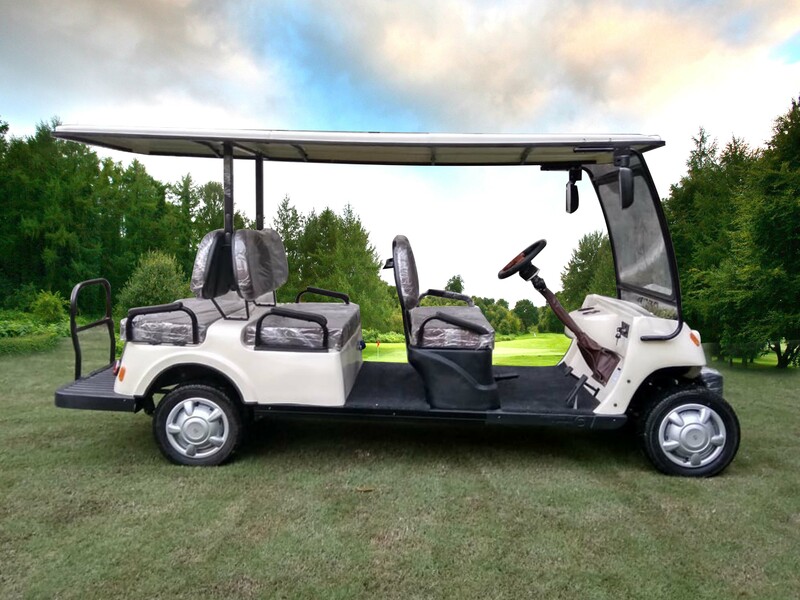 Built with our signature FRP base and strengthened further with aluminium, you can ensure that you’re weather proof no matter where you go. 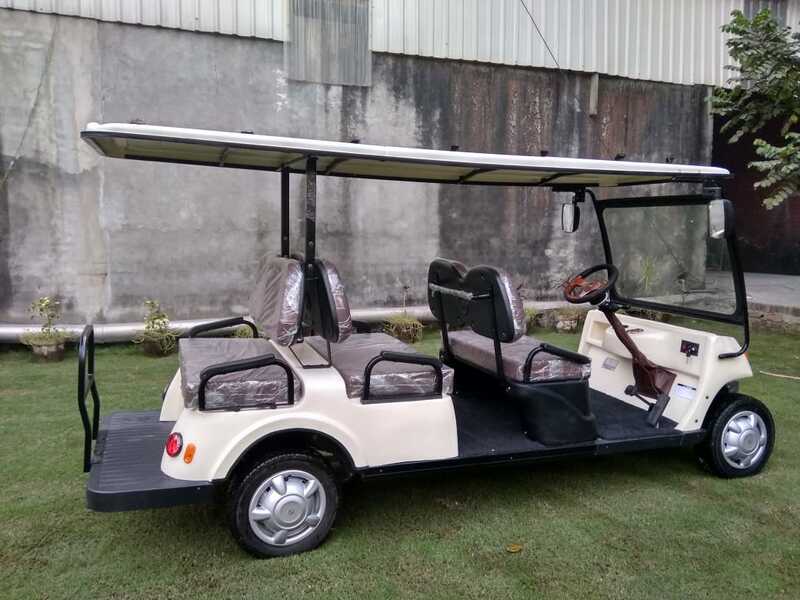 We also offer custom rain curtains to enhance protection from water in rainfall prone areas. 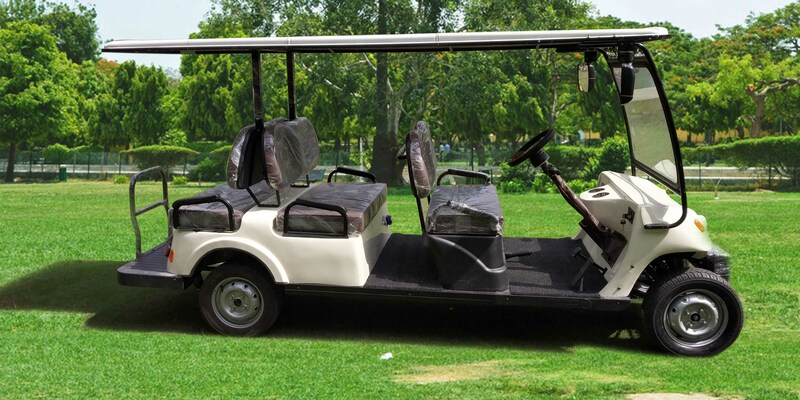 We’re always a step ahead of the comfort of your guests, just like you are by choosing Speedways Electric as your choice of ride.